The cover and pictorial from ‘HIGH CUT’ revealing BLACKPINK’s various charms were revealed. BLACKPINK displayed their unique individual charms through the celebrity style magazine ‘HIGH CUT’, which will be published on June 21. They looked perfect wearing unique outfits including glamorous dresses and sneakers, colored leggings, and oversized shirts long enough to cover one’s feet. JISOO displayed elegant girlish beauty, JENNIE displayed cat-like eyes, LISA emitted strong aura, while ROSÉ displayed a mystic vibe. The unique individual charms by all members completed a ‘fan becoming entrance’ in 4 different ways. 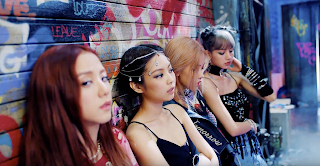 BLACKPINK made comeback on June 15 with their first mini album, ‘SQUARE UP’. 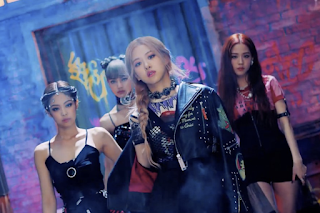 On the question asking about the biggest difference between now and 3 years ago when BLACKPINK first made debut, JISOO stated “We now have responsibility to meet up to the fans’ expectations. Before debut, we just thought ‘I want to perform on stage’, ‘I wish I had fans’, and ‘Will the people like our music’. Now, we have to work harder to satisfy our fans. Even when you’re perfectly ready, that doesn’t mean you’ll be able to display your 100% to the audience”. When asked about “the most appreciative moment from other members”, JENNIE answered “We had our personal time for a while. When we gathered in a room again to discuss our comeback, we felt like we turned on the ‘unite’ switch. I felt reassured when I realized all of us had the same mindset even though we were away from each other. I also felt responsibility since all members are performing well on their given roles”. On the question “Did you ever miss Korea while working in Japan”, LISA answered, “I missed Korean ramen. I like Japanese food, including tempura gyudon and sushi. But I also felt, ‘this would be perfect with ramen and kimchi’”. ROSÉ revealed her affections on the members by stating “Our members are really important people in my life. They are friends, family, and people I can learn from to become a better person. I visit JISOO next door when I go through hardships and empathize with LISA as a friend. I go to JENNIE when I need advice. We are positively influencing each other in various ways”. BLACKPINK’s pictorial will be available through the 224th edition of ‘HIGH CUT’ being published on June 21.